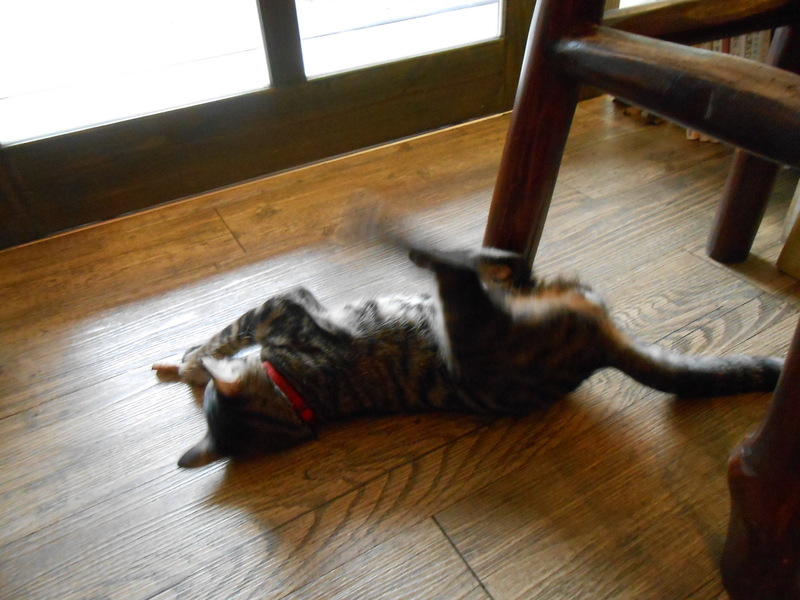 This is another cat cafe that isn’t in the book, that I also found thanks to this blog. When I saw it listed there, I could hardly believe where it was! It’s on 和平東路, very close to where I used to live. It opened in 2012 and I must have walked past it hundreds of times. 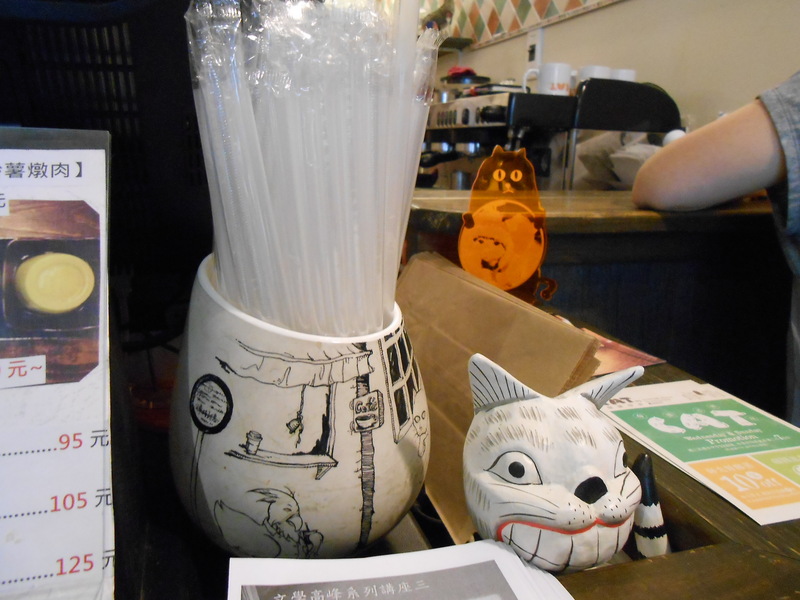 Actually, I do remember noticing 貓 in the name, glancing in and thinking it was too small to be a cat cafe. It’s definitely the smallest cat cafe I’ve been to, with only a narrow bar to sit at. 這家貓咖啡也不時在書裡. 我找到在這個 部落格. 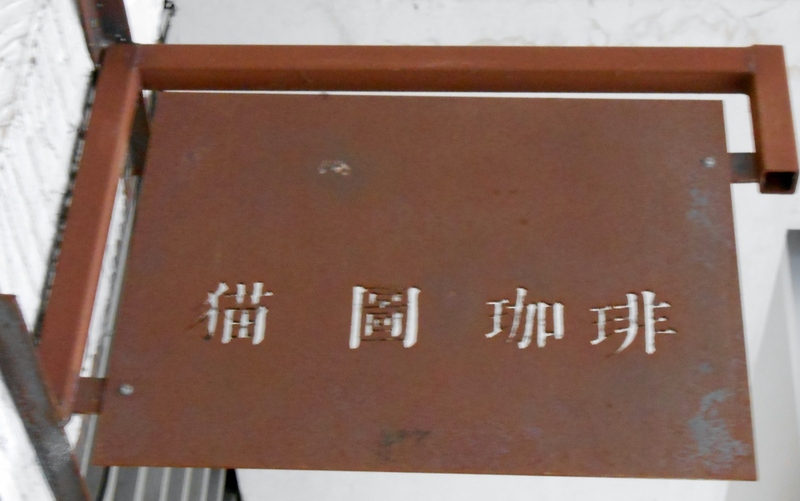 我看到地址, 我很驚訝因為離我以前住的地方很近. 這家2012開業, 所一我應該有走過去很多次. 其實我記得, 我看過牌子有”貓”但是我以為太小, 只可以外帶, 不可能是貓咖啡館. 真的是我看過的最小間貓咖啡, 只有一個小吧檯可以坐. It was crowded with students and annoying Japanese pop music was playing. 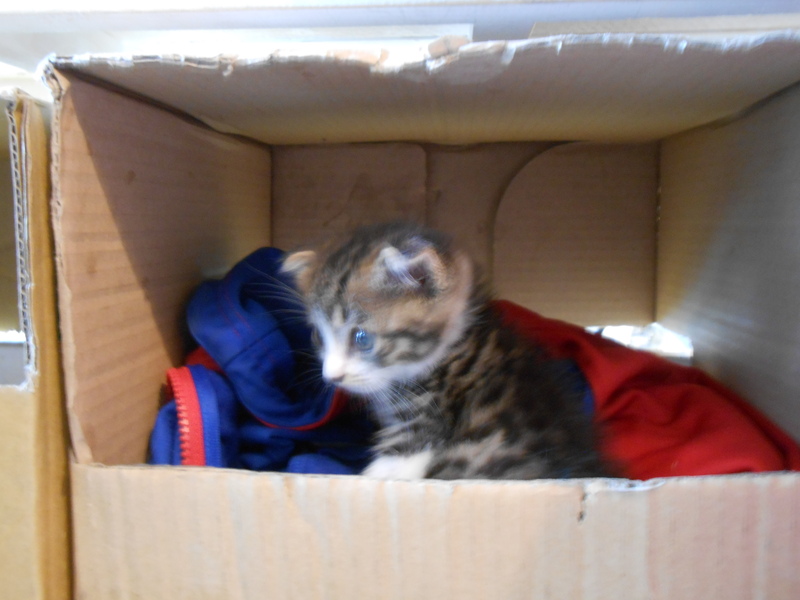 But they have two adorable kittens! 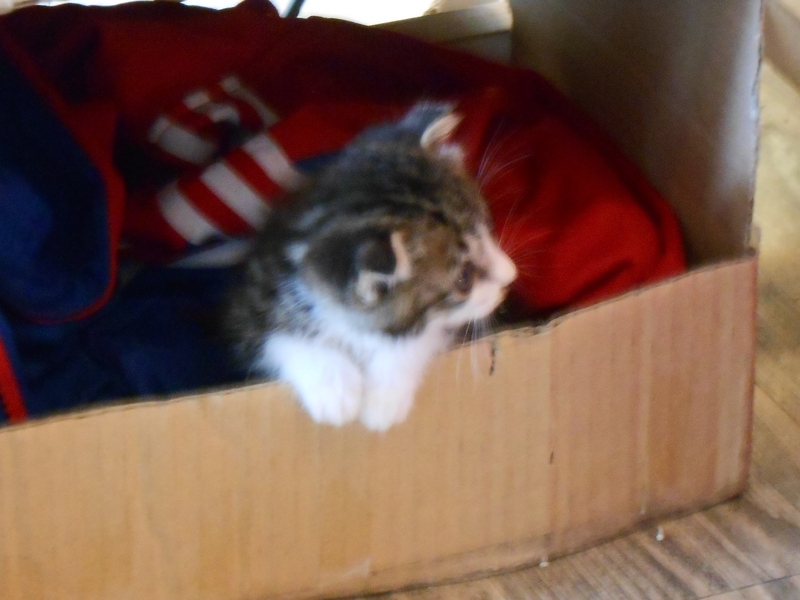 It was hard to get good pictures of them because they were so playful and wouldn’t stop moving. 裡面有很多學生, 還有我覺得很煩的日本流行音樂. 但是他們有兩個超可愛的小貓! 很難拍牠們因為很活潑, 一直動! The bigger kitten looks about 4-5 months old, but I’d guess the little one isn’t more than 2 months. 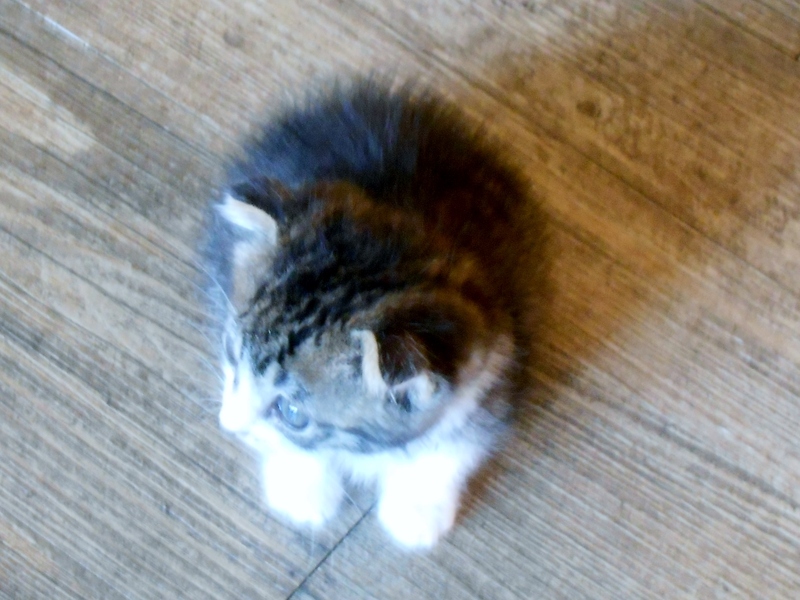 She’s so tiny! I tried to take a picture of her next to someone’s flipflop as a comparison, but she and the person wearing it kept moving. 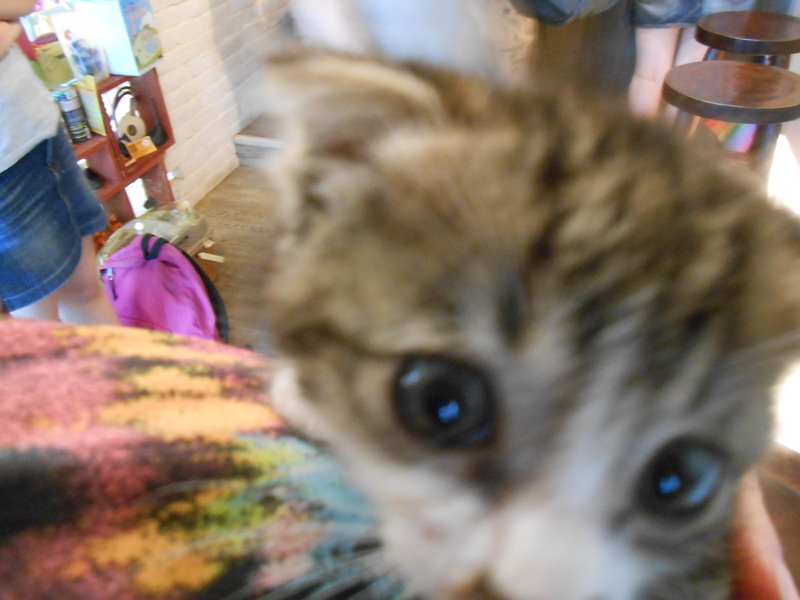 I took this blurry picture while holding her. 比較大的小貓應該有4-5約, 旦是小的好像沒有兩個月. 很小, 很可愛! 我要拍她跟人的拖鞋, 但是貓跟人一直動, 所以沒辦法. 我抱她拍這件照片. 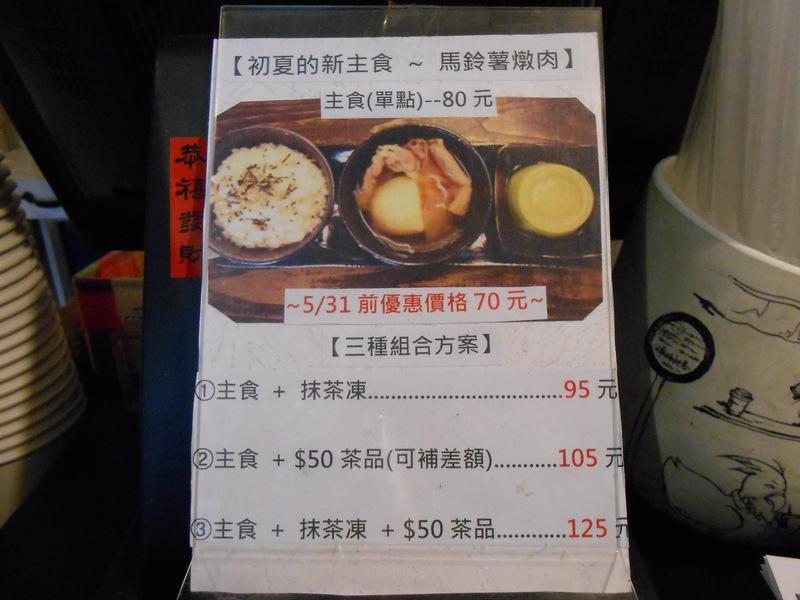 Another advantage of this cafe is that it’s very cheap, with prices starting at NT$50. 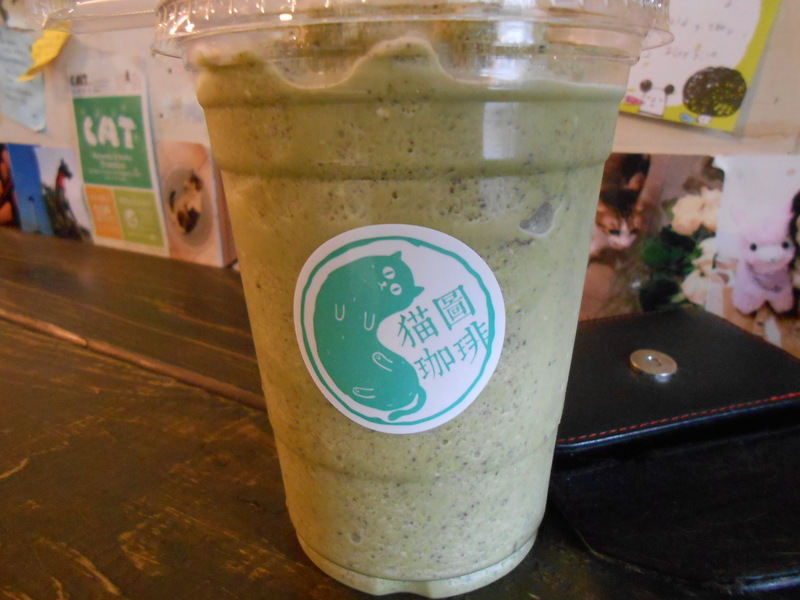 I had a green tea Oreo slushie for NT$75. 這家咖啡很便宜, 最便宜只要NT$50. 我喝抹茶OREO冰沙, NT$75. 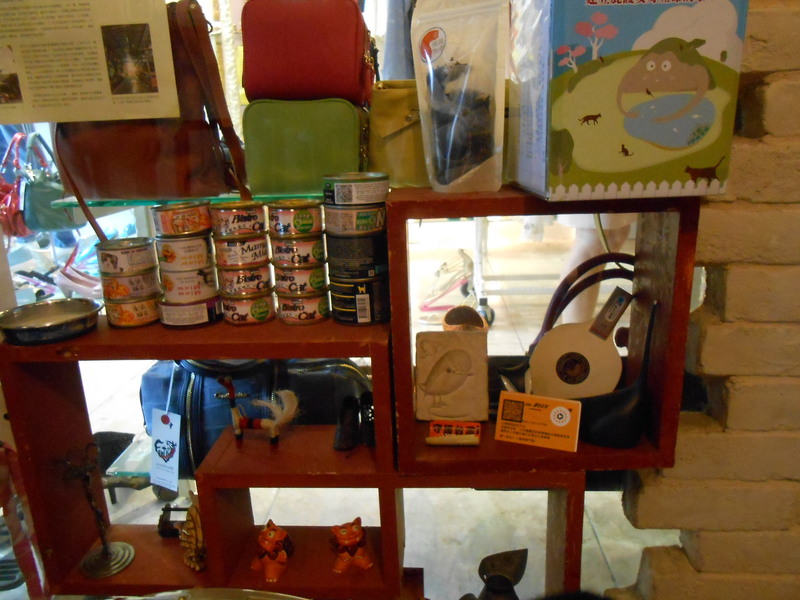 And they also have some cute cat decorations and sell pet products. It has everything a cat cafe should have in a quarter of the space for half the price. I’d also only want to spend about a quarter of the time I’d usually spend in one. 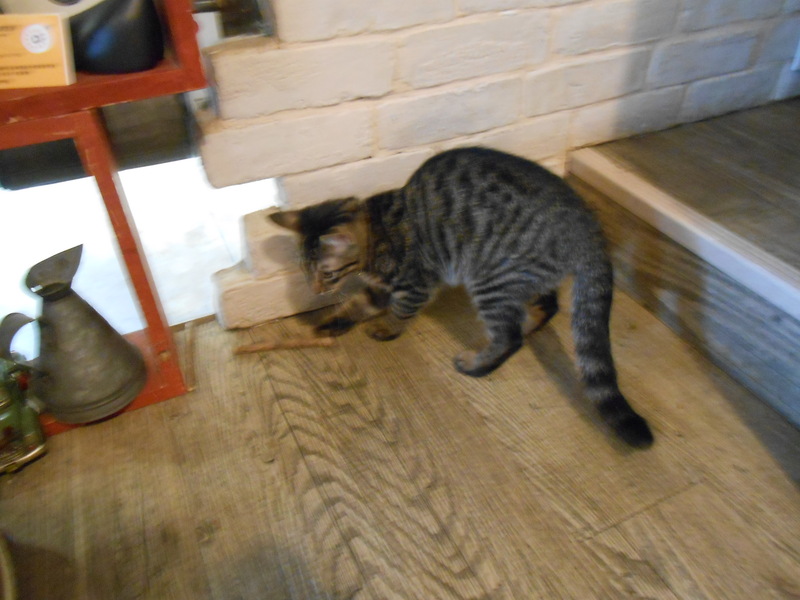 But it’s nice for students and people who want to check out a cat cafe quickly. 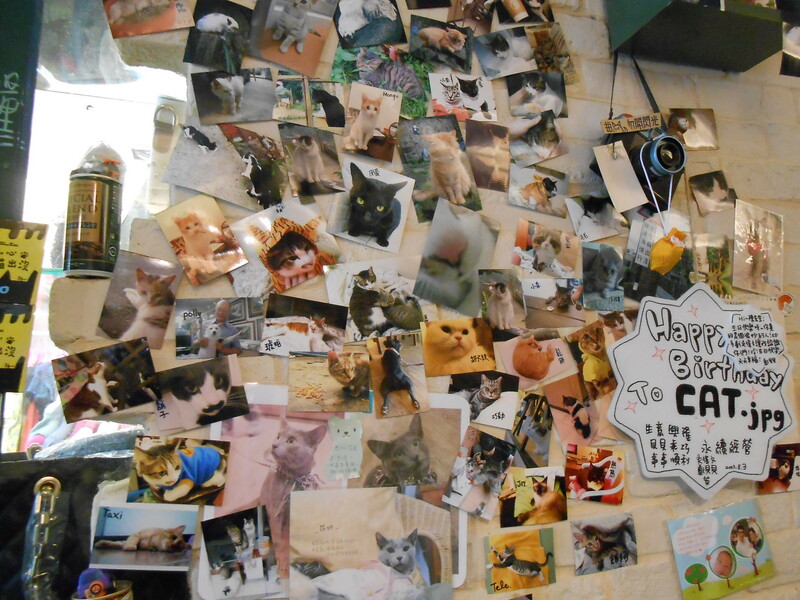 Maybe it’s called Cat.jpg because it’s like a tiny picture of a normal cat cafe. 他們還有很可愛的貓裝飾, 還有賣寵物用品. 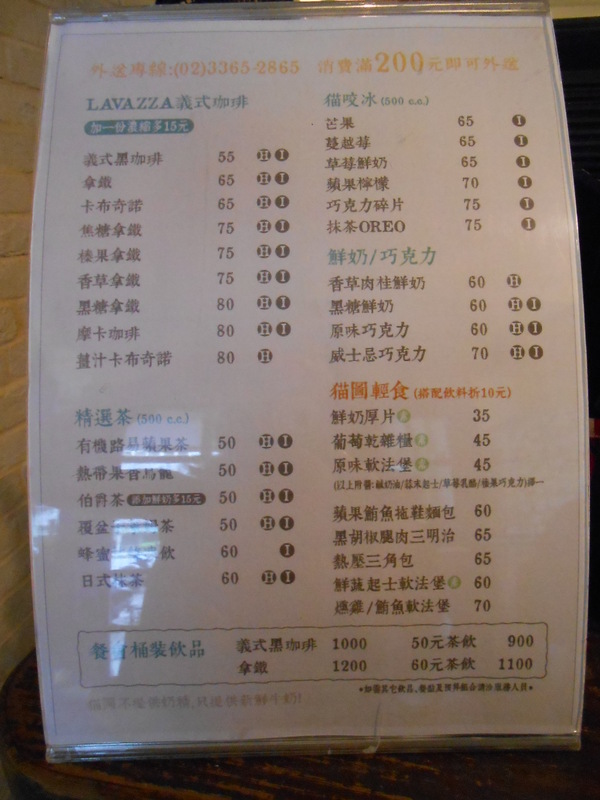 這麼小店有這麼多東西很棒. 我不要留很久, 但是對學生或是只想看到貓咖啡的人, 我覺得很好.